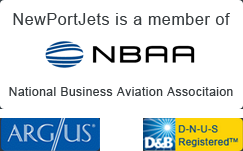 Newport Jets is recognized as a top provider of private jet charter company for flights in and out of Salt Lake City. Newport Jet’s air travel team is available now to plan your Salt Lake City jet charter service. Our experienced and professional concierge team will not only handle your jet charter flight details, but plan all details of your trip, provide ground transportation, and provide first class Salt Lake City hotel recommendations. Newport Jets has a wide variety of Salt Lake City private jets to choose from, including the Gulfstream G550 to the Learjet 31, the company has the perfect private jet aircraft for each and every trip. Our charter jet team specializes in booking jet charter flights to Salt Lake City, Los Angeles, Las Vegas, Seattle, and Phoenix – as well as hundreds of other domestic and international locations. To make your stay in Salt Lake City comfortable and luxurious we’ve provided some local information on hotels, private jet airports and popular attractions. Salt Lake City is the capital and largest city in Utah, a city rich in history and cultural landmarks which include: Greek Orthodox, Episcopal and Roman Catholic cathedrals, the first meeting of the transcontinental railroad, Twin Peaks, and Fort Douglas. The city is the financial and political center for the states and home to many oil refineries. Outdoor activities abound with great biking trails, biking, rock-climbing, camping, fishing and boating. The Sundance Film Festival is a top cultural event near Salt Lake City. The city is an eclectic combination of American history and modern living and accommodations. The historic Temple Square is a must-see landmark. The best hotels in Salt Lake City offer a mixture of the present, past and future with modern amenities and historic sites. Salt Lake City has a vibrant artistic and cultural scene, busy nightlife, and many museums. The only AAA Five Diamond hotel in Salt Lake City is The Grand Americana Hotel, which is luxurious and affordable with a fabulous restaurant. The Hotel Monaco is a wonderful boutique hotel housed in a refurbished landmark 14 story building, where all the rooms are comfy and beautifully styled.